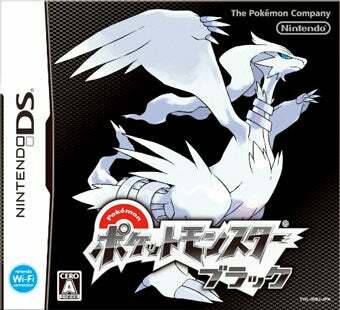 Nintendo's Pokemon Black and Pokemon White enjoy another first place showing in Japan this week, nearly another quarter million copies sold to Nintendo DS owners overseas. The monster hunting game easily takes down newcomer Red Dead Redemption in Japan. But Rockstar Games' wild west adventure moved a very respectable 97,000 copies in Japan this past week, compared to Pokemon's 232,000. It's a strong first week showing, but not as strong as Kingdom Hearts Re: Coded for the DS or Gekijouban Macross F: Itsuwarino Utahime for the PlayStation 3. To see how the week's other debuts fared, according to sales tracker Media Create, for the week of October 4 to 10, read on. Then look a little bit farther for the hardware chart. The PSP and Nintendo DS battled for 3D pie chart victory this week, with the DS family coming out on top across its three platforms. Sony can claim victory on the console front, with the PS3 outselling the Wii for another week in Japan. And, look! The PSPgo cracked 1,000 this week!